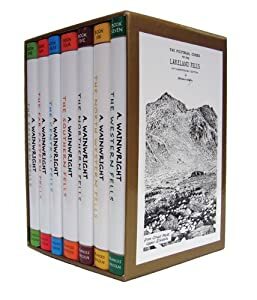 "A Pictorial Guide to the Lakeland Fells" - The work that made Alfred Wainwright probably the most famous name in the English Lake District since William Wordsworth and Beatrix Potter. Although for practical use in walking the fells the 2nd Revised edition is now to be recommended, many people like to have the original appearance. This set was produced by publisher Frances Lincoln for the fiftieth anniversary to meet that demand. The original editions' style is retained throughout.